Follow the steps below to clear the error 5010 if you have any additional questions, type a comment. The two errors of this publication service (service tool) is required but can be solved easily, look at the solution, related to the scanner. This procedure requires some technical knowledge, because it is necessary to remove screws and put again, if you have no knowledge of how to do it is recommended to go to a technician. If you can not pay the technician, or not able to get one with experience, just make constant printing process pictures so you can see where this or was each piece before disassembling the part. 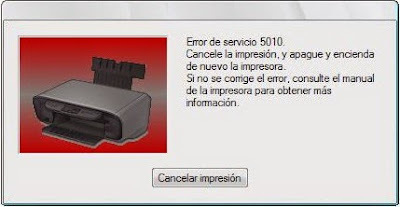 If after this you do not find a solution, it is best to get the service tool for your printer and reset the printer EEPROM for the printer you have.